Premium drive technology from Sew-Eurodrive and GE Power’s Automation and Controls business will soon be available on world's markets. 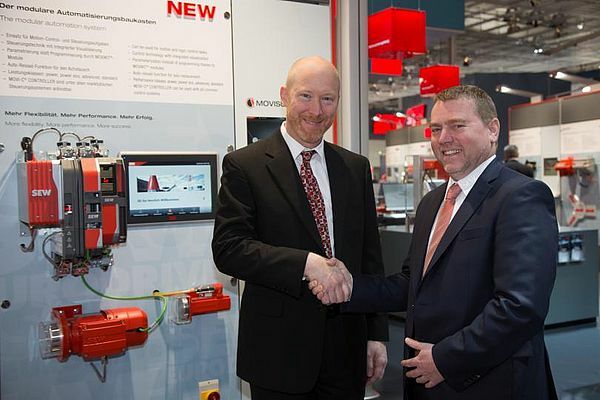 The partnership was sealed to sell controllers and drive-based automation portfolio from the two companies around the world. For customers, this means working with a single company to fulfill essential automation requirements. GE and Sew-Eurodrive plan to provide complimentary solutions for drive and controller-based motion control solutions for discrete and process applications. These solutions can be used in applications including machine control, manufacturing, and a variety of infrastructure verticals. GE will integrate Sew’s variable frequency drives and servo motors into the GE PACMotion product line enhancing GE’s Industrial Internet Control System for process and discrete applications. Sew-Eurodrive strives for integration of GE’s IICS products into their controller-based drive automation solutions, providing a rich set of analytics to help reduce cost and improve operational efficiency.